A feud has broken out between the San Luis Obispo County District Attorney’s Office and the city of San Luis Obispo over the city’s upcoming special election. The districts attorney’s Office says it appears the city unlawfully repealed the rental inspection ordinance confusing the ballot question that voters are now receiving in the mail, prompting angry responses from San Luis Obispo officials. Earlier this year, a citizens’ initiative succeeded in calling for a special election on repealing an ordinance that allowed city workers to inspect rental properties and collect fees and replace it with a nondiscrimination in housing rule. The city is holding the election, as required, but city officials have changed the wording of the ballot measure, resulting in significant confusion. 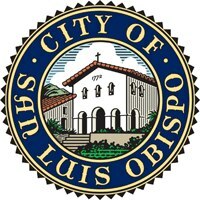 Following the citizens’ signature drive, the San Luis Obispo City Council opted to repeal the unpopular rental inspection ordinance but not replace it with a nondiscrimination in housing ordinance. Then, the city altered the text of the ballot measure that was submitted so that it no longer mentions repealing the controversial ordinance. San Luis Obispo resident Kevin Rice, who is campaigning for the ballot measure to pass, requested that the district attorney’s office examine the city’s handling of the initiative. Last month, Assistant District Attorney Lee Cunningham responded to Rice in a letter signed by District Attorney Dan Dan Dow that stated it appears the city council unlawfully changed the ballot measure. 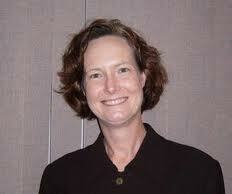 But, Cunningham said in the letter that no intentional fraud occurred; thus the city did not do anything criminal. Cunningham stated Rice’s only remedy may be to file a lawsuit. In response to Cunningham, San Luis Obispo City Attorney Christine Dietrick wrote a letter stating the SLO County District Attorney’s Office’s findings are unfounded based on the facts. Dietrick also stated the district attorney rarely deals with elections code, and it should have consulted the city on the matter. SLO council members, including Mayor Heidi Harmon, are siding with Dietrick and criticizing the district attorney, as well as Rice and other proponents of the ballot measure. Council members claim backers of the initiative are playing political games and are aiming to destroy the city’s affordable housing programs. As vote-by-mail ballots have begun to arrive at voters’ homes, several San Luis Obispo residents have contacted CalCoastNews saying they want to vote to make sure the rental inspection program is not reinstated, but they do not know whether to vote “yes” or “no” due to confusing wording of the initiative. Proponents of the ballot measure say the city is confusing voters and trying to play up it decision to repeal the rental inspection ordinance in order to derail the initiative. Backers of the initiative say the city is planning to return with a new rental inspection program, while city officials claim rental inspections in San Luis Obispo are not coming back. What is with the “intent” defense? Oh, because they didn’t MEAN to break the law, they must not have broken the law? It reminds me of our (pick one) former disgraced SLOPD chief who didn’t MEAN to defraud the taxpayers so it’s no longer illegal to scam the public into paying for your family’s vacation. Welcome to the public sector and the theft of taxpayer’s money, nothing is illegal anymore. YES on Measure B-17 STOPS this endless nonsense and harassment of renters and homeowners. Kevin Rice, yes, Christine Deitrick, no. Decades ago the B17 Bomber was instrumental with defeating hostile invaders of people’s rights. And now today, B17 can defeat the current group of hostile invaders of our rights to privacy. Darn, that’s good. May I use it elsewhere? Business as usual in SLO.